Sharp is the first brand to launch a smartphone with the 120Hz display. Today, the company launched its latest flagship smartphone called Sharp Aquos S2 in Japan. While the device packs latest specifications, the company is also introducing a couple of innovative features. 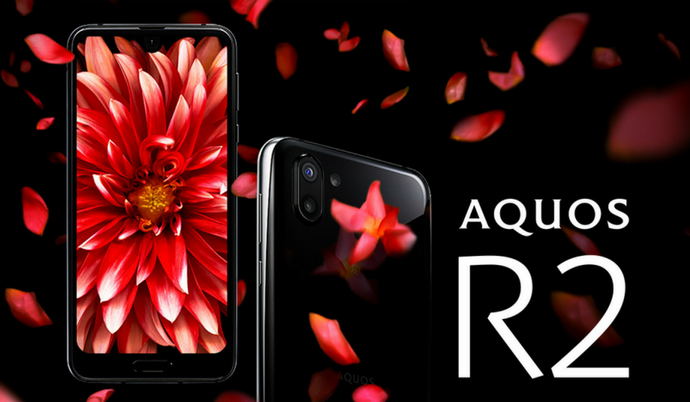 Just like the previous Aquos smartphones, the new Aquos S2 also comes with a notch display and bottom chin. While the notch holds the front camera, the bottom chin features physical home button with an integrated fingerprint sensor. However, we can still see considerably thick bezel all around the display. It comes with a glossy finish body and will be available in Premium Black, Platinum White, Aqua Marine, Coral Pink, and Rose Red color options. The Sharp Aquos S2 sports a 6-inch IGZO display with WQHD+ (3040 x 1440 pixels) resolution and 19:9 aspect ratio. Under the hood is the 10nm Qualcomm Snapdragon 845 octa-core processor coupled with Adreno 630 GPU and 4GB LPDDR4X RAM. The Sharp Aquos S2 is also said to be the world’s first smartphone to support both Dolby Vision and Dolby Atmos technologies. There is 64GB of internal storage on this device which can be further expandable up to 400GB using a MicroSD card slot. Talking about the cameras, the device comes with dual cameras on the rear. While the 16.3MP rear camera is dedicated just for video recording, the 22.6MP rear camera can be used for capturing photos. On the front, it comes with a 16.MP camera for capturing selfies. The video camera offers EIS, 135-degree wide-angle view and can record videos up to 4K resolution. With the AI Live Shutter feature, the user can simultaneously record video and capture photos. It is also IP68 certified, which means it is both water and dust resistant. The Sharp Aquos S2 comes with Android 8.0 Oreo out of the box. It measures 156 × 74 × 9 mm and weighs 181 grams. With all these features, the Aquos S2 is backed by a 3,130 mAh non-removable battery. As of now, there is no information about the pricing or availability of this smartphone. Stay tuned on Phone Radar for more details!